Typically you may purchase liability coverage to help protect you, up to the policy limits, from claims against you arising from an accident in which you were at fault and caused property damage and/or injury or death to others. 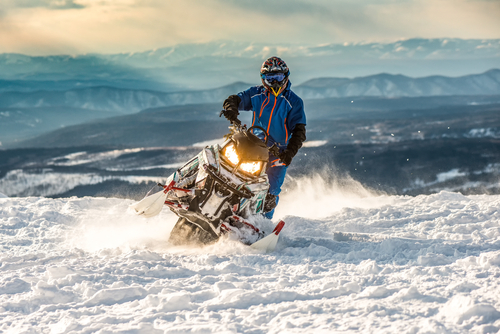 Comprehensive insurance can pay for repairs if thieves take your snowmobile for a joyride, or if a tree falls on your motorhome. Collision insurance can pay for repairs if you crash the golf cart you keep at your vacation home. Medical expense coverage can provide limited protection for you and your passengers. Uninsured motorist coverage can protect you and your vehicle if you are injured by another party that can’t take financial responsibility. Your homeowner’s policy may provide a small benefit if the vehicle is damaged while it is stored at your house. You may also have some liability protection in your homeowner’s policy to cover any expenses arising from negligence on your part. But chances are good that these coverage amounts won’t be nearly enough if you are involved in a serious accident that causes property damage, injury, or death. If you are found liable for an accident and you don’t have enough insurance, you’ll have to make up the difference. If you can’t pay in cash, an injured party can go after your home, retirement savings, or other assets to collect a judgement against you.